He further argues that it is a free speech right for a professional to address the issues of a client. But the Ninth U.S. Circuit Court of Appeals has ruled that conversations between counselors and patients about how patients can change their sexual orientation is considered “conduct” and not protected private speech. The federal appeals court ruled such counseling unlawful. Hum! Is that what the APA actually says? Since it’s Greg Quinlan, we’ll go with “probably not,” but Jeremy actually checked the relevant APA documents and my goodness, Quinlan is good at cherry-picking one sentence from a document the rest of which negates his entire life’s work. No “specific” biological etiology has been found. That means that, as science does, they’re still figuring it out, still studying. 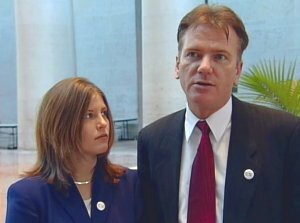 Of course, there are many strong theories that are being tested and retested, and grown-up scientists long ago abandoned the idea of something as simplistic as a “gay gene.” Yet the Religious Right, those experts on genetics, still cling to the idea that “there’s no gay gene, yew can change!” and ignore the actual science on the subject. Check out the LGBT Science website for the latest in what real scientists are learning about sexual orientation. 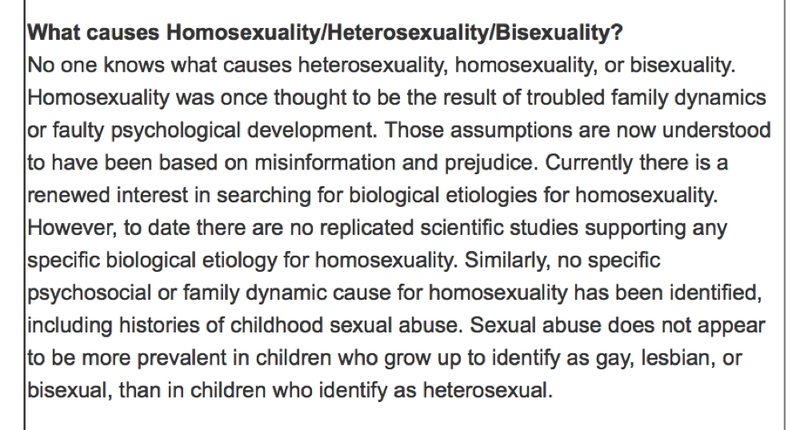 But of course, Greg also conveniently omits that “no specific psychosocial or family dynamic cause” has been identified either, which is funny, since that’s pretty much the foundation upon which the quackery of “pray the gay away” organizations sits. Greg Quinlan just hopes that everybody is too stupid to check these documents for themselves, I suppose. As I often say, that might work with the average follower of the Religious Right, but not with my readers. Greg, you cannot have it both ways. You can’t cite the APA in order to try to pretend that your career has a shred of credibility anywhere near it, and then completely ignore the parts you don’t like. The APA’s statement is scientifically correct, and doesn’t hurt our cause at all, when you actually take the time to read it as opposed to cherry-picking one line because you know your cohort doesn’t like to look things up. 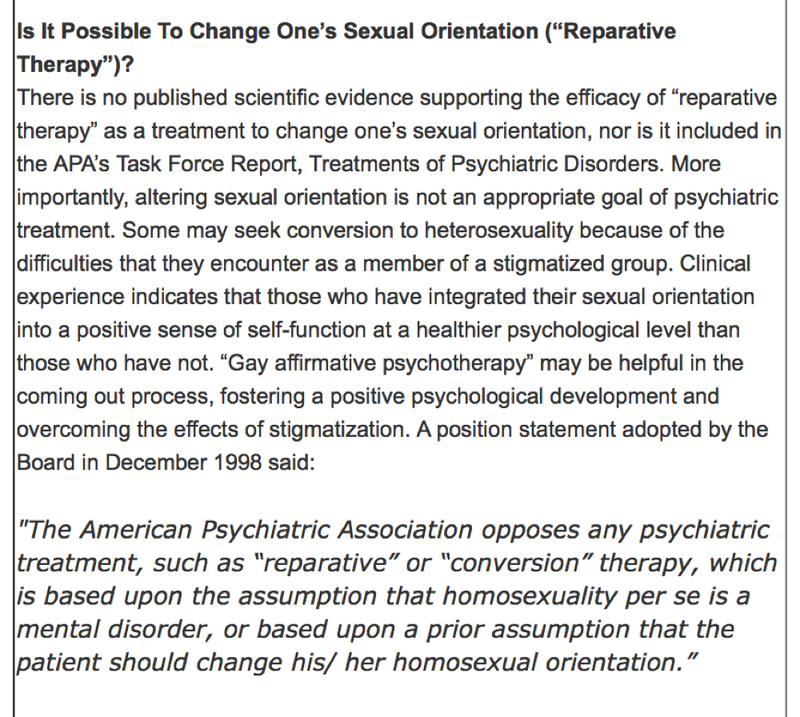 It is truly unbelievable to me that someone like Greg would quote from a position paper that so fully repudiates his life mission of “repairing” or “converting” LGBT people. Yet the “ex-gay” movement does this all the time. I can’t tell you how many professional “ex-gays” have done exactly what Greg does here, pulling that one line from its contextual home while ignoring the broader scope (and they never link to the actual document, of course). This movement does itself no favors. And when it comes to a cause as backwards, regressive, science-rejecting, and dangerous as theirs, they need all the help they can get. At this point, they truly are their own undoing.